White-coated professionals, whether the pharmacist or pharmacist technician, greet customers and patients at the counter as they come to pick up or fill prescriptions. However, these pharmacy employees do a lot more than count pills. Pharmacists are licensed medical professionals who are responsible for compounding and dispensing medications to patients, giving instructions on how to properly take medication, warning about harmful side effects, and keeping meticulous records. Pharmacists and pharmacy technicians are crucial to the medical field. Find a pharmacy school near you. Once you’re a pharmacist, you will give patients meds and offer guidance on the proper usage, interactions, and other questions customers may have regarding their prescriptions. You’re also trained to advise on healthy lifestyle choices, provide immunizations, and conduct health and wellness screenings. There are four main types of pharmacists: community, clinical, consultant, and pharmaceutical industry pharmacists. With each area comes a different responsibility and new work environment. Community pharmacists: You’ll work in one of those chain pharmacies or an independently owned one. Your typical duties will be to prepare and dispense medications, along with helping customers by answering questions and addressing concerns. You may also provide services such as innoculations, too. Clinical pharmacists: As a clinical pharmacist, you’ll work in healthcare settings such as hospitals and clinics. You will be directly involved in patient care, working as a part of the medical team. Consultant pharmacists: Consultant pharmacists advise healthcare facilities and insurance providers on patient medication usage. You’ll also consult with senior citizens on how to manage their prescriptions. Pharmaceutical industry pharmacists: You will work in marketing, sales, or research and development. You may design clinical drug trials, or help to develop new medications. Establishing safety regulations and quality control for drugs may also be included in your vast list of responsibilities. Enroll in a bachelor’s degree program and take courses such as chemistry (general, organic, and any others your school may offer), molecular and cellular biology, microbiology, statistics, biochemistry, and any other course offerings pertinent to the Pharm.D curriculum. Most Pharm.D programs only require two years of undergrad, but some do want you to complete all four years. Check with the programs you’re interested in to find out their requirements. Take the Pharmacy College Admissions Test (PCAT). Enroll in one of the 128 accredited Doctor of Pharmacy programs. Most programs take four years to complete, but there are some three year programs available. There are some Doctor of Pharmacy programs you can enroll in right from high school; these take six years to complete. Complete your supervised internship. Each state has its own requirements on this. You may need to do a residency before going off to run a pharmacy. This could take one to two years. Every state requires licensing for pharmacists. There are two tests you’re going to need to take and pass. These are the North American Pharmacist Licensure Examination (NCPLEX) and the Multistate Pharmacy Jurisprudence Examination. If you’re going to be giving vaccines or immunizations, then you’re going to need a license. Most states use the Pharmacy-Based Immunization Delivery given by the American Pharmacists Association. You can also become a certified diabetes educator or specialize in areas such as nutrition or oncology. You’ll need some work experience behind you, along with paying a fee and passing the exam to become certified. You’re going to work hard to become a pharmacist. But the reward for all that studying, interning, and test taking is a median annual salary of more than $122K. Mind you, when you’re just starting out, you will be earning more along the lines of $87K, which is certainly nothing to turn your nose up at. The top 10 percent of pharmacists make a salary of $158K. Where you work will determine your hours, but you’ll probably be slotted for some nights and weekends. Average occupation growth is expected for pharmacists. There will be about 17,600 jobs opening through 2026, particularly in hospital pharmacies and clinics. Retail pharmacies will experience a bit of a decline in jobs as more people are finding their prescriptions online, and for less money. Pharmacy techs are like the middleman between the patient and the pharmacist. They are the (often) smiling faces that greet customers at the counter, ready to help them drop off or pick up a prescription, or convey a question or concern to the pharmacist on their behalf. You’ll work under the direct supervision of a licensed pharmacist who will review your work prior to releasing it the patient. You are able to mix some meds and compound as well as run the automatic dispensing units. A lot of big responsibilities fall on the pharmacy tech, so there is a certain path that needs to be wandered down. To become a pharmacy tech, you must take these steps. Or, you can apply to a pharmacy technology program at a vocational school or community college for training. You will be in school for a year or two, depending on the program. Most states have stringent regulations in place for pharmacy techs, so you need to find out what’s up with yours. Some states will require you to get certified. However, even if your state doesn’t, it’s still a good idea because your job possibilities expand. Certifications are from the Pharmacy Technician Certification Board and the National Healthcare Association. Every two years you’ll need to recertify. Without having to go to school for years and years, you can make a median annual salary of $31K as a pharmacy technician. The top ten percent earn over the $45K mark. Your own salary will be dependent on where you live, what type of pharmacy you’re teching in, and how much experience you have. 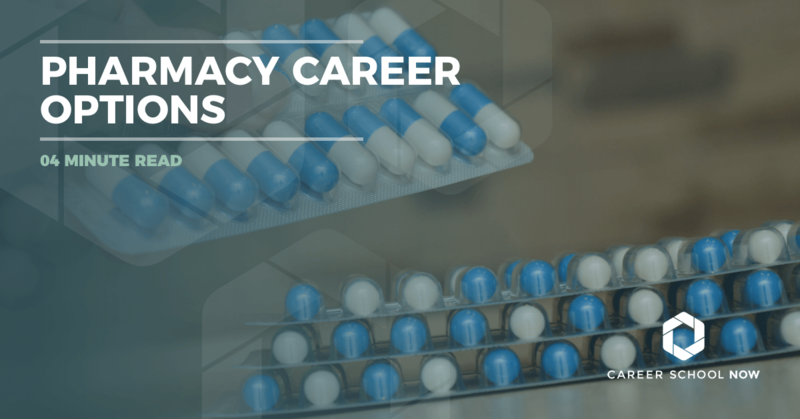 Overall, pharmacy technician employment is predicted to grow 12 percent through 2026. This means an additional 47,600 jobs, so as long as you’re qualified, your job hunt shouldn’t be too terribly long. And, as pharmacists take on more actual patient care such as giving shots, techs will be needed to pick up some things that the pharmacists used to do. If you’re interested in becoming a pharmacist or pharmacy tech but have a busy schedule that doesn’t allow you to attend on-campus classes, then a flexible distance learning program is a great option. There are Doctor of Pharmacy (Pharm.D.) degree programs available in a hybrid format. Coursework is online, and clinical experience and lab work are done in person. Some schools also require students to gain clinical experience under the supervision of a proctor. Whether on-campus or online, you will want to make sure your program is nationally accredited by the Accreditation Council for Pharmacy Education (ACPE). The ACPE is recognized by the U.S. Department of Education as a qualified accrediting agency for professional pharmacy programs and ensures students will be prepared for the North American Pharmacist Licensure Examination upon graduation.